Parents and policymakers are calling for an increase in coding and computer science opportunities in K-12 classrooms. Computer science education offers a wealth of opportunities for students and teachers, but professional development for educators remains a hurdle. 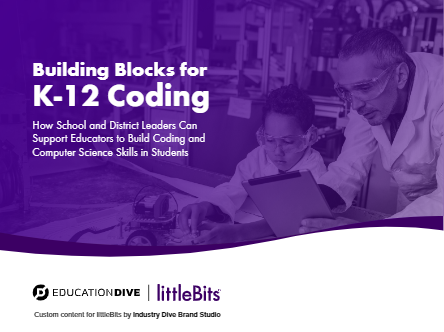 How can administrators support educators and increase coding opportunities for kids? How to identify the right tool for the school: the choice of tools can vary from classroom to classroom and school to school. The four most significant costs and how schools can ease the cost burden by choosing the right tools. The need for time and space in professional development: How to support teachers by securing them the time and space to form partnerships and develop ideas. How administrators can support teachers to achieve this initiative.